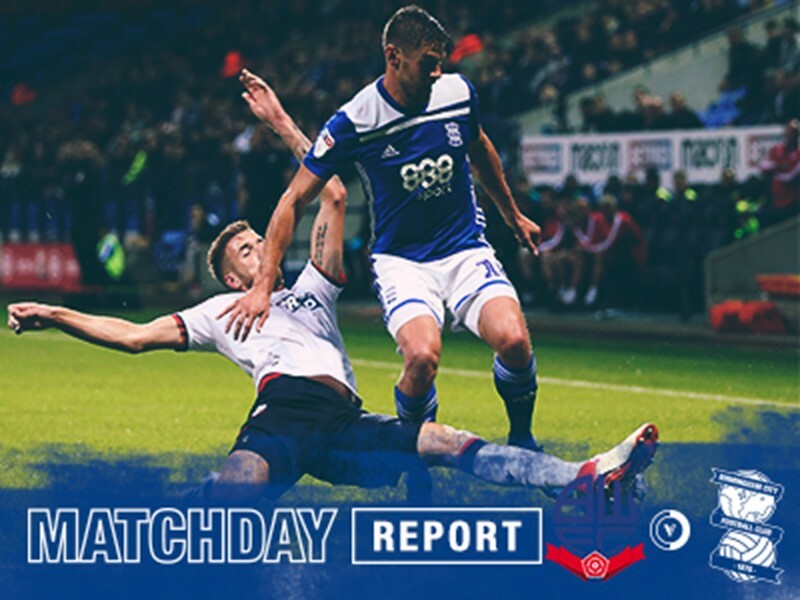 Match ends, Bolton Wanderers 1, Birmingham City 0. 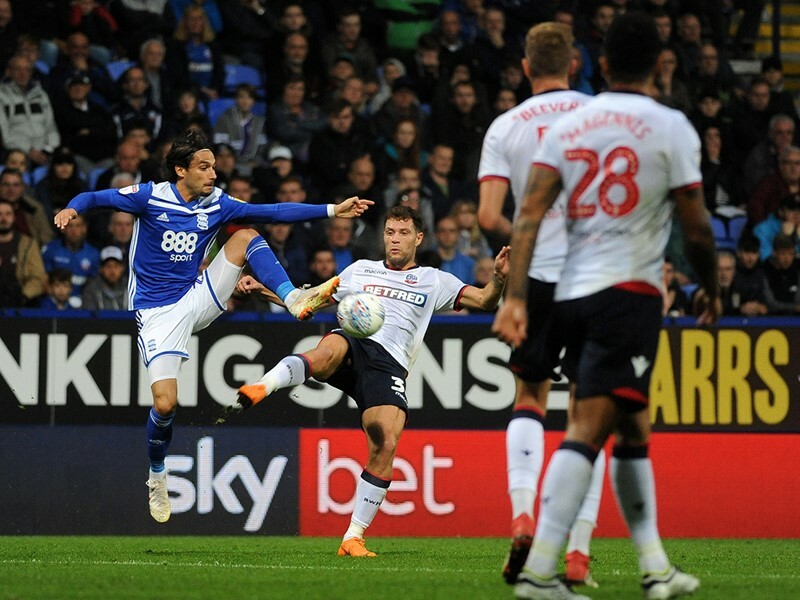 Second Half ends, Bolton Wanderers 1, Birmingham City 0. Corner, Bolton Wanderers. Conceded by Kristian Pedersen. Corner, Bolton Wanderers. Conceded by Viv Solomon-Otabor. Corner, Birmingham City. Conceded by Mark Beevers. Attempt blocked. Che Adams (Birmingham City) right footed shot from the centre of the box is blocked. Assisted by Viv Solomon-Otabor. Attempt blocked. Omar Bogle (Birmingham City) left footed shot from the centre of the box is blocked. Corner, Birmingham City. Conceded by Ben Alnwick. Attempt saved. Kristian Pedersen (Birmingham City) left footed shot from outside the box is saved in the bottom left corner. Corner, Birmingham City. Conceded by Josh Magennis. Pawel Olkowski (Bolton Wanderers) is shown the yellow card for hand ball. Hand ball by Pawel Olkowski (Bolton Wanderers). Attempt missed. Jason Lowe (Bolton Wanderers) right footed shot from the centre of the box is high and wide to the right following a set piece situation. Substitution, Bolton Wanderers. Clayton Donaldson replaces Erhun Oztumer. Offside, Bolton Wanderers. Mark Beevers tries a through ball, but Josh Magennis is caught offside. Attempt missed. Sammy Ameobi (Bolton Wanderers) left footed shot from outside the box misses to the left. Assisted by Pawel Olkowski. Attempt missed. William Buckley (Bolton Wanderers) right footed shot from the centre of the box is just a bit too high. Assisted by Erhun Oztumer. Substitution, Birmingham City. 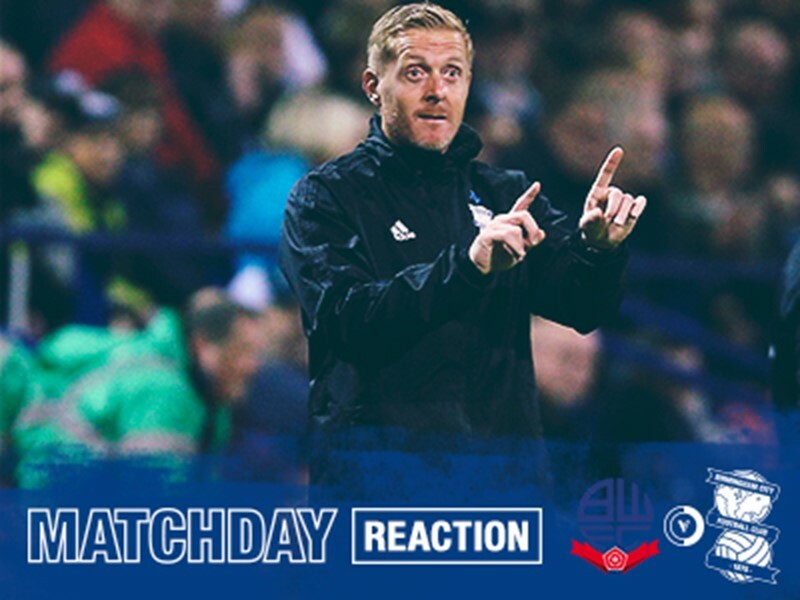 Che Adams replaces Lukas Jutkiewicz. William Buckley (Bolton Wanderers) is shown the yellow card for a bad foul. Goal! Bolton Wanderers 1, Birmingham City 0. Josh Magennis (Bolton Wanderers) with an attempt from very close range to the top right corner. Assisted by William Buckley. Attempt blocked. William Buckley (Bolton Wanderers) with an attempt from very close range is blocked. Assisted by Sammy Ameobi with a cross. Gary Gardner (Birmingham City) is shown the yellow card. Attempt missed. Sammy Ameobi (Bolton Wanderers) left footed shot from outside the box is too high. Assisted by Josh Magennis. Corner, Birmingham City. Conceded by Sammy Ameobi. Attempt missed. Omar Bogle (Birmingham City) header from the centre of the box is high and wide to the left. Assisted by Maxime Colin with a cross. Attempt blocked. Lukas Jutkiewicz (Birmingham City) right footed shot from a difficult angle on the right is blocked. Substitution, Bolton Wanderers. Sammy Ameobi replaces Craig Noone. Substitution, Bolton Wanderers. William Buckley replaces Yanic Wildschut. Corner, Birmingham City. Conceded by Gary O'Neil. Attempt saved. Josh Magennis (Bolton Wanderers) left footed shot from outside the box is saved in the bottom right corner. Assisted by Gary O'Neil. Attempt saved. Jason Lowe (Bolton Wanderers) left footed shot from the left side of the box is saved in the centre of the goal. Corner, Bolton Wanderers. Conceded by Lukas Jutkiewicz. Attempt saved. Omar Bogle (Birmingham City) right footed shot from a difficult angle on the right is saved in the bottom right corner. Assisted by Jota. Maikel Kieftenbeld (Birmingham City) wins a free kick on the right wing. Attempt blocked. Omar Bogle (Birmingham City) left footed shot from the centre of the box is blocked. Assisted by Jota with a cross. 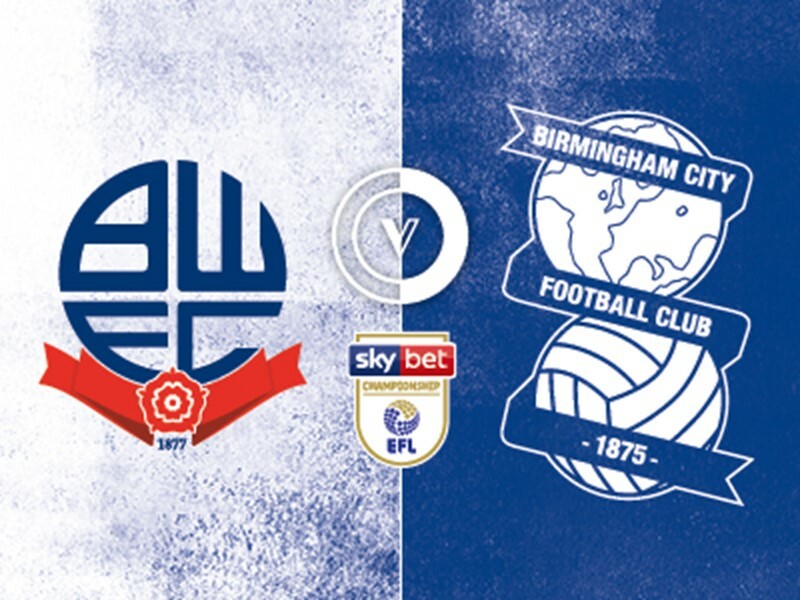 Second Half begins Bolton Wanderers 0, Birmingham City 0. First Half ends, Bolton Wanderers 0, Birmingham City 0. 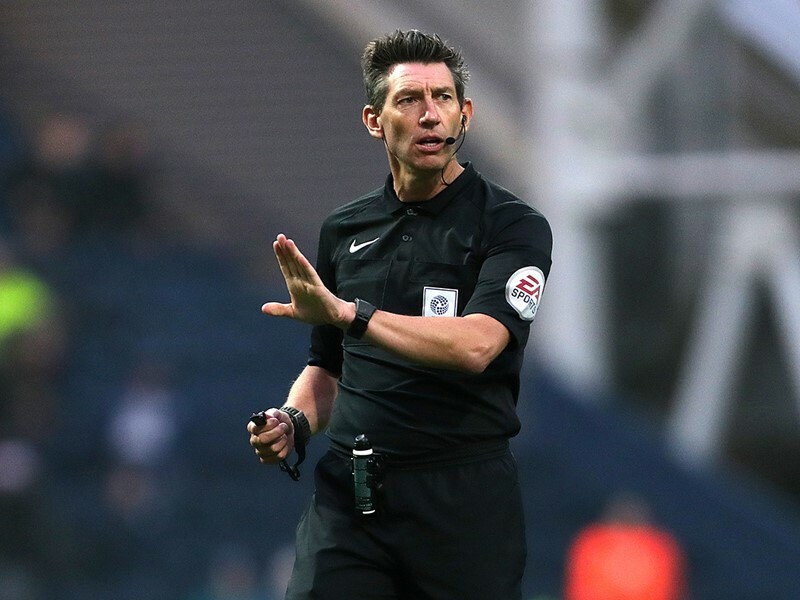 Offside, Bolton Wanderers. Ben Alnwick tries a through ball, but Josh Magennis is caught offside. Gary O'Neil (Bolton Wanderers) wins a free kick in the defensive half. Erhun Oztumer (Bolton Wanderers) wins a free kick in the defensive half. Attempt saved. Yanic Wildschut (Bolton Wanderers) left footed shot from the centre of the box is saved in the centre of the goal. Assisted by Josh Magennis with a headed pass. Attempt saved. Jacques Maghoma (Birmingham City) header from the left side of the box is saved in the bottom left corner. Assisted by Maxime Colin with a cross. Attempt saved. Jota (Birmingham City) left footed shot from outside the box is saved in the top right corner. Assisted by Maxime Colin. Delay in match Gary O'Neil (Bolton Wanderers) because of an injury. Attempt blocked. Omar Bogle (Birmingham City) left footed shot from outside the box is blocked. Attempt saved. Jacques Maghoma (Birmingham City) header from the centre of the box is saved in the centre of the goal. Assisted by Gary Gardner. Attempt missed. Maikel Kieftenbeld (Birmingham City) right footed shot from outside the box misses to the right. Assisted by Jacques Maghoma. Corner, Birmingham City. Conceded by Andrew Taylor.